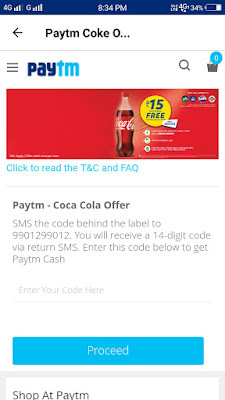 Paytm Coca Cola offer - Hi, Friends hope you guys are enjoying with our Free Paytm cash offers, Freedom sale offer, Refer and earn offers. All of we previously discuss about Freedom Freebies, Vivo Freedom sale offer. Here we come with another awesome Paytm Coca Cola offer. 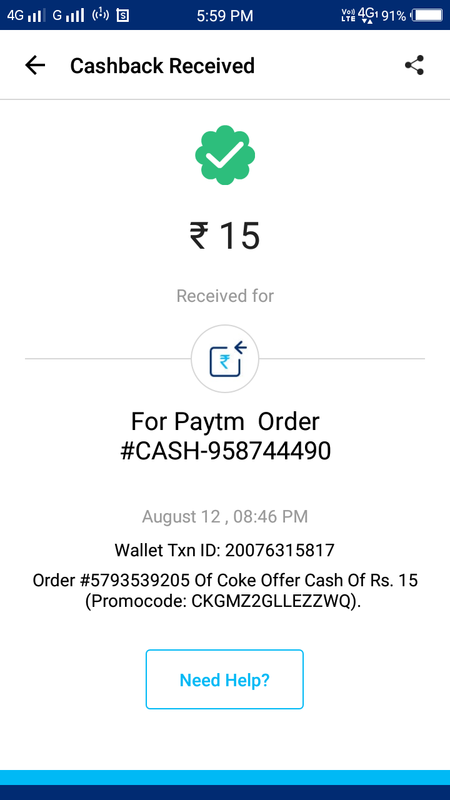 In this post we are provided complete details about Paytm Coca Cola offer - Get Rs.15/- Cashback on Every Coca Cola bottle purchase. 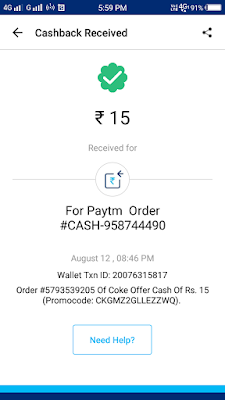 This post is about Paytm Coca Cola offer - Get Rs.15/- Cashback on Every Coca Cola bottle purchase. Follow the above steps carefully. If you have any quires leave a comment below.